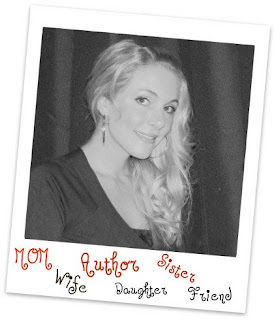 Please welcome debut author, Rhiannon Ellis, to the spotlight. We are so delighted that she’s decided to land at my blog, during her blog tour.Cozy up to those keyboards, guys and gals, and let’s talk romance! Rhiannon, thank you for taking the time to chat with us today, with two new releases, BONDED in BRAZIL, and DARK WOLF PROTECTOR, you certainly have a lot to talk about. Q1. Dark Wolf Protector features animal protector, Jaci Waters, hunting down a wolf that has invaded her tiny town and is preying on women. Enter Dolton Freye, the protector who storms into town destined to hunt and kill the wolf that’s after Jaci. Where did your inspiration to write the sensual romance, Dark Wolf come from? I can’t pin down my inspiration to one thing or another, but after reading dozens of paranormal/shifter stories and loving them all, I wanted to write one of my own. Isn’t that how all of us writers start out? We get sucked into a genre or series and can’t let it go, even after we get to the end. The desire to live in that world never goes away, so we continue it in our own words, with new characters, and in fresh locations. Q2. With two preschool-age kids at home, where do you find the time two write? Two releases at the same time, you are one incredibly busy gal! I get this question a lot. The answer is simple: I don’t. Lol. Really, I don’t find time; time sort of finds me in between dirty dishes, boo boos, building forts and cooking meals. I’m constantly throwing my writer’s hat on and off as I center my 2nd greatest passion, writing, around my 1st greatest passion—my family. Q3. Now that you have two releases available, please share your road to publication. Perhaps, any rejection and how you handled them. How you felt when you received a proposal. 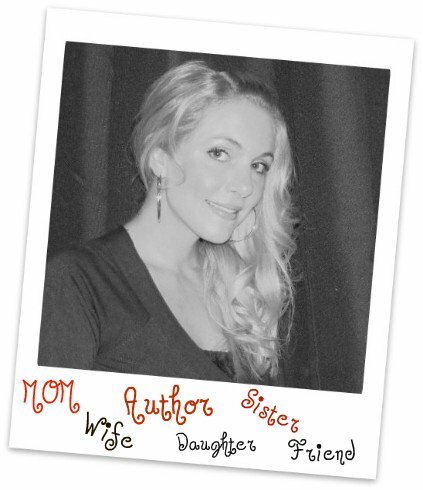 I have a knack for bad timing, so I started writing my first novel when my daughter was 2 years old and my son was 6 months old. Since then I’ve written three novels and a novella. That first book was eventually offered representation by my current agent, but we’ve put it on hold for further revisions. As mentioned, I have two releases available now, and I also have a newly completed MS with my agent. The journey thus far has been exhausting but exhilarating. I’m so happy and proud to be part of such an exciting process and supportive community, and I can’t imagine writing not being in my life. Sure, there have been rejections, but that’s what being an artist is about. Some people will like your work, some people won’t. Q4. 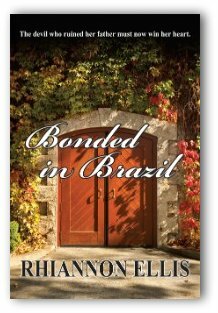 Brazil is the setting for your novel BONDED IN BRAZIL. What is one fascinating fact you discovered while conducting your research? One thing I’d love to share is that Brazil is home to the largest tropical rainforest on the planet. The Amazon rainforest doesn’t make an appearance in my stories, but I learned a lot about the importance of rainforests—many facts I didn’t know before—and even did some special projects with my 5-year-old so she could learn about them, too. It’s an accomplishment no one can ever take away. Even if I never write another book, I can always say that I’m an author. I also love that, one day, I can tell my daughter that just because you’re a stay-at-home mom and your life revolves around your family, it doesn’t mean your dreams have to die. Women really can have, and be, it all! Q6. As authors, we aim to have a style and a voice that is unique to our name. When we RHIANNON ELLIS on the cover, what can readers expect? First, readers can expect dynamic, memorable characters. Characters are what drive my stories and what will linger with the reader afterward. Secondly, I love strong female characters. I aim to create heroines who are a lot like my female friends and family members—real women who are capable of incredible things. And my heroines don’t need rescuing, even if it seems they do at the beginning of the story. However, my strong women still love their alpha-male heroes…don’t we all? My website! There you will find everything about my books, links to my Facebook page, Twitter, blog and email. If you’re interested in learning more about Bonded In Brazil or Dark Wolf Protector, my website has trailers, blurbs and excerpts. PLEASE NOTE: THIS BLOG IS MODERATED, SO ONCE YOU LEAVE YOUR COMMENT, IT WILL TAKE A FEW MINUTES TO APPEAR (AFTER MODERATION). THANK YOU. Rhiannon ~ Do you have any free reads or other items for one lucky commenter? Sure do! My online book tour ends this Friday. At that time, I’ll randomly pick 4 commenters from my blog stops and give each winner an e-copy of either Bonded In Brazil or Dark Wolf Protector. One lucky commenter will receive a readers pack from Kienna. This includes a pencil with Thomas Jefferson’s famed quote, “I cannot live without books”, and a bookmark purchased from the Library of Congress in Washington D.C.
ll check in throughout the day to respond to comments...don't be shy, everyone! I tried to comment, but it didn't seem to go through. Hopefully I'll have better luck this time. I just wanted to tell Kienna that I enjoyed the interview and that I feel that I learn a lot from her blog. I always find it fascinating to hear about other writers' lives. Would love to hear how Riannon found her agent as mine seems to be elusive! You're a new author for me but not for long! I enjoyed reading this post and look forward in learning more about you and your works.